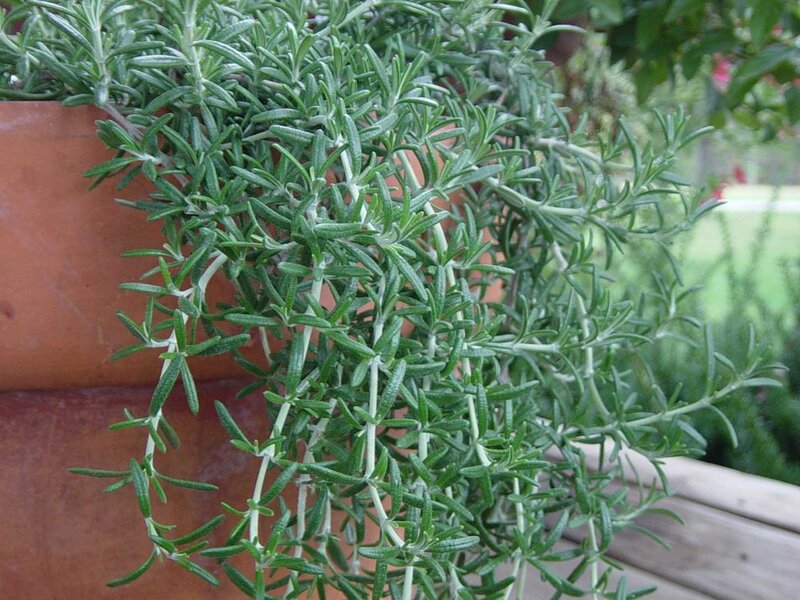 Prostrate Rosemary is an evergreen aromatic shrub that is a perfect, hardy ground cover plant. It’s very much a Mediterranean style plant which gives off the most beautiful scent when you brush past it. It trails magnificently so it’s great in hanging planters, or spilling out of pots or over the edge of retaining walls. It has fibrous, narrow dark green leaves and produces pretty pale blue flowers in Spring and Summer. It can grow to a height of 20 – 30 cms and has a spread of aprox 1.5 meters. This fast-growing, ground creeper should be kept moist in well-drained soil and full sun. The added bonus of being an edible culinary herb means you can throw a few sprigs on your cooking or afternoon Gin & Tonic to add that lovely pine-like flavour and fragrance. A great street, screening and hedging plant. Nectar-rich flowers that come in a wide range of iridescent colours. ©2011–2019 ALL RIGHTS RESERVED TO ADAM ROBINSON GROUP PTY LIMITED.